p.s Love your new plant - perfect kind of plant for indoors! Did you ever read the Baby-Sitter Club books? One of the characters was insulin-dependent diabetic. I bet that there is a generation of girls with a better understanding of diabetes because of the series. Those strips are great! They don't last forever but they are still great! Yippee for insulin pumps and insulin in general!! Hopefully my niece will get one someday but for now they need her to be in control and to completely learn about what is going on in her body. My cousins wife has a pump and on their honeymoon in Mexico and she completely forgot about it and dove into the pool!! It ruined the pump and so it was not a good situation! They somehow got another one ASAP but how scary!! I just tried the nail polish strips last week! I put them on my toes. However, since I was snorkeling everday last week they came off after three days. Plus I bought the sparkle kind, and I was scared a fish might think my toes were bait! So maybe I'll try them again soon! 143!!!!! haha. Also do you use a light box?? Your pictures are incredible! i have a bunch of friends who have done the mud run before. it looks fun, but so dirty! i like the little cactus Ian got you! Rebeecca- Thank you! No I dont use a light box but I heard those are amazing! I always try to use natural light and I have a lens which I think makes a difference. I'm going to try out those nail stickers, they have so many fun designs! Also, I've been meaning to get one of those flower cactus plants. So pretty! That cactus flower is so sweet. Love it. 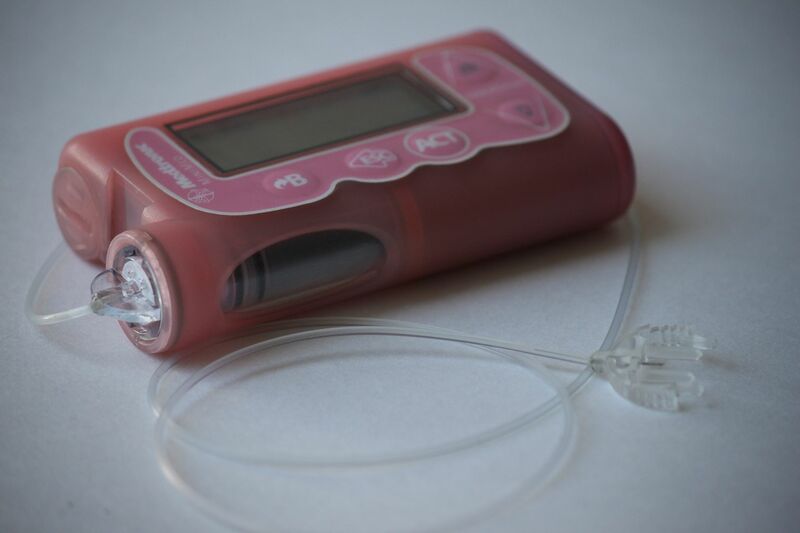 And yes, your insulin pump sounds like a life-saver, literally. Plus it's pink, so that's pretty rad. Ah. Mace. Last time I seen something like that was when I lived in the city. It just so happened to be on the kitchen table. Like the idiot that I am I presses the spray button. Yup right in the kitchen. Not nice. We had to leave the house for a lot of hours till it settled. I'll never for get the feeling it gave me. Does it mean anything though that I thought it was a lighter? Boy was everyone a little upset I sprayed it! It's a super good thing to carry for predators. Yours is cute all pink! i just bought some succulents :) great minds think alike? Ha ha your mace made me laugh. 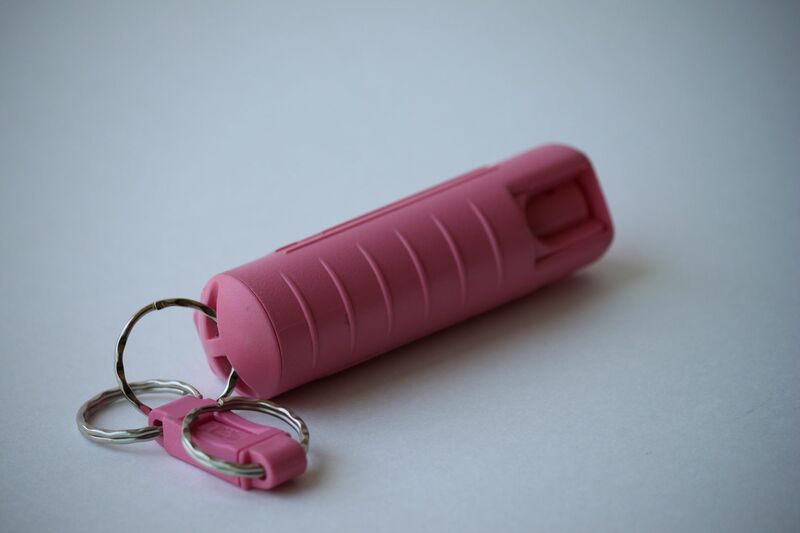 I love that it is pink and girly but will take down any creeper. Glad you are being safe though and good for you and the mud run! I was curious if those nail strips were any good now I will have to give them a try! 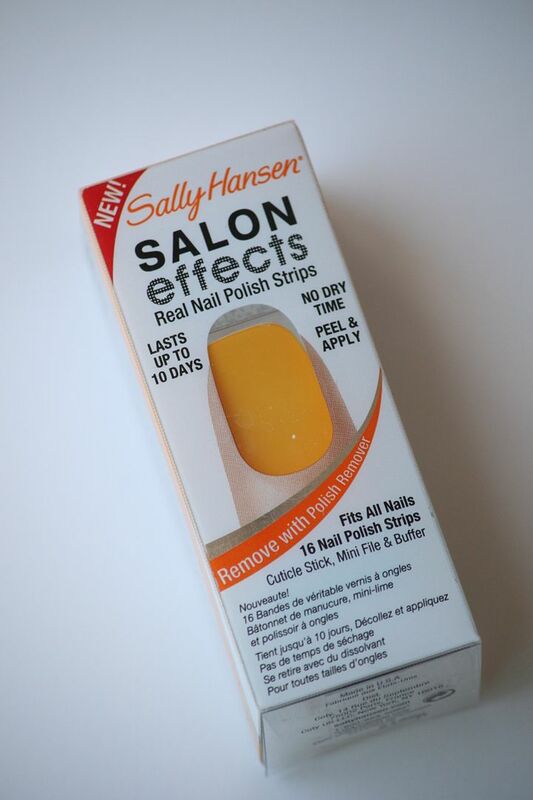 Ooohh, I really want to try the Sally Hanses nail strips. My friend told me that it doens't really work really well, but i'd like to see for myself. I just came across your blog. It's very lovely. 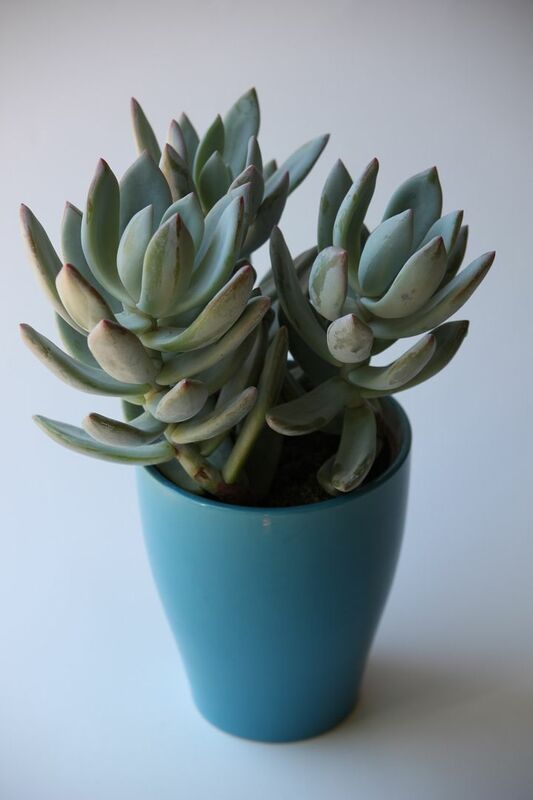 i just bought a succulent too! even made myself a terrarium :) orchids are pretty easy to care for too and are oh so pretty! glad to hear that this pump has changed your life. You're such a beautiful person and so positive towards life! Look forward to see your dessert recipes, the mud run sounds really fun too. Have a great weekend Lindsay! I'm feeling a lot better. Thanks for being so sweet! Sally Hansen and succulents!? Add humming to that list and we've got some great things in common. :-) Thanks for your comment, I'm happy to have found your blog! yay for the succulent...i obviously like them myself! and i am going to try that sally hansen stuff tonight. i hear it's great! Succulents are so interesting! Love them. 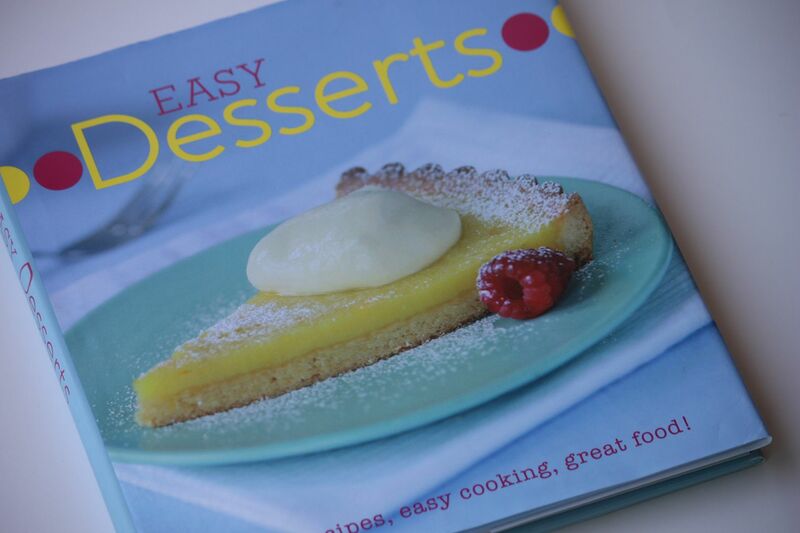 The new recipe book looks awesome! Love trying new things to bake and cook! Yeay for your insulin pump! My friend has 2 young kids who have T-1... I hope this could work for them some day! I love that your insulin pump and mace are both pink! And I will definitely be needing to try those nail strips... I'm known to try and make a pedicure last for months to avoid re-painting my nails. I'm just so bad at it! Pink pump! Awesome. My husband is a type-1 and has been on and off the pump since 2008, sometimes he gets a bit pump weary. Good luck with the transition, he likes it better than injections. And he recently started using the continuous glucose monitor, which we have mixed opinions about. P.S. Thanks for your comment on my "guns" on my blog! I saw you had posted you have Type 1 Diabetes. Please check out and spread the word about these life-saving dogs...They are called Diabetic Alert Dogs and they can smell the chemical change in your body when your blood sugar goes too high or too low. I puppy raise for an excellent organization that just got their 401c3 non profit called Canine Hope for Diabetics.